This non-oily daily moisturizer with SPF is formulated with Aloe Vera and Panthenol to provide light moisture with a matte finish. 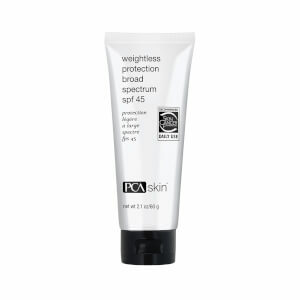 This product provides optimal broad spectrum UVA/UVB coverage with the ultra-sheer protective benefits of Z-Cote and additional sunscreen agents. Silybin, also known as Milk Thistle, and Caffeine provide superior antioxidant action to help maintain skin health during exposure. Protecting Hydrator Broad Spectrum SPF 30 is best for patients with normal to oily skin types. Active Ingredients: Octinoxate (7.5%), Octisalate (3.6%), Zinc Oxide (4.3%). Other Ingredients: Allantoin, Aloe Barbadensis Leaf Extract, Butylene Glycol, Caffeine, Cetearyl Glucoside, Cetyl Alcohol, Ethylhexyl Isononanoate, Glycerin, Glyceryl Stearate, Hydroxyethyl Acrylate/Sodium Acryloyldimethyl Taurate Copolymer, Iodopropynyl Butylcarbamate, Panthenol, PEG-100 Stearate, PEG-7 Trimethylolpropane Coconut Ether, Phenoxyethanol, Polyether-1, Polyisobutene, Silybum Marianum Extract, Stearic Acid, Titanium Dioxide, Tocopheryl Acetate, Triethoxycaprylylsilane, Water/Aqua/Eau. I have struggled to find a moisturizer with SPF that plays well with other skincare, primers, and makeup. I've used a ton of other products with it and it has never once balled up or given me any problems. I wish it were a bit more hydrating, but it does okay for my oily skin. I also wish the packaging would allow me to know how much product is remaining...instead of just guessing by how heavy it feels in my hand. I have aging dry skin. This works great under my foundation. 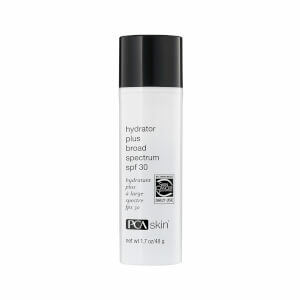 I was using PCA hydrator Plus for 5 years it made my foundation transfer onto clothing etc. switching to this foundation fixed that problem. It works great after applying all of my serums. Without leaving my skin to dry or to oily. Just the perfect canvas to apply my cosmetics. I am a PCA certified trained Aesthetician. perfect product to increase bathroom storage! after 60+ years of searching for the best skin care products,I have accumulated bottles and jars that overflow from vanities, drawers and closets.I am happy to say PCA skin products is the perfect line to replace those inferior but expensive products.Daily use of the PCA facial wash, the protecting hydrator and evening cream has not only simplfied my routine but the result is a softer feel and look on my aging skin. PCA is wonderful. Everything else is out! I love that this is a lightweight hydrator, as I have very oily skin. I use it in conjunction with the Acne cream and other prescription meds. It protects my skin, and it leaves it feeling very soft.